We firmly believe that by taking action together in and towards natural and social environment, we can create and strengthen bonds between ourselves and others. Today, the creation of a corporate Foundation consolidating the philanthropic work of the Pierre & Vacances-Center Parcs Group serves to supplement our activities and renew our commitment. It is a declaration of our desire to establish bonds between individuals and contribute to the vibrancy of communities we operate in. 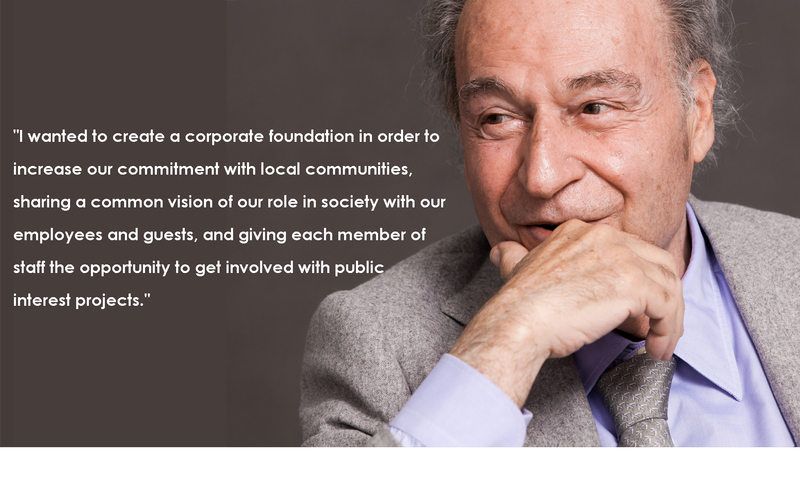 Created by the Group in 2017, the corporate Foundation’s role is to contribute to the vibrancy of communities and help build relationships in those regions where the Group is established in France and overseas. The foundation really wants to get involved on the ground, close from the Group's resorts so as to be able to get to our collaborators and clients. To do so, every projects supported by the foundation are located in an about 50 km range from the Group's resorts. Thanks of this proximity, the nonprofit organsation, the nearest resort and the foundation can work on impactful synergies. The foundation builds its action around three main domains, and every projects supported must be working in at least one of these.